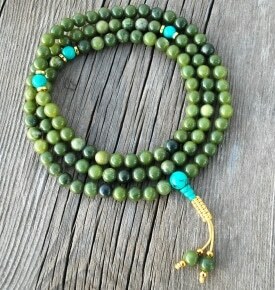 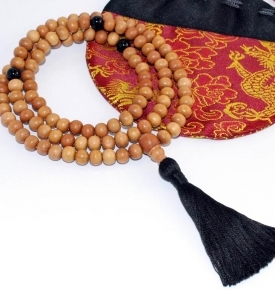 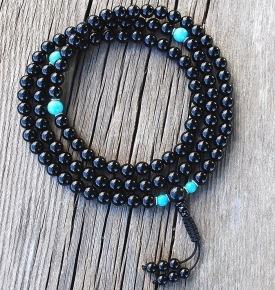 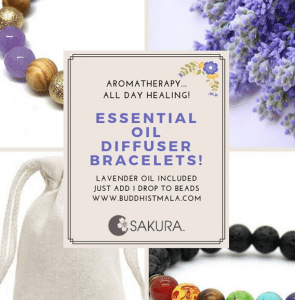 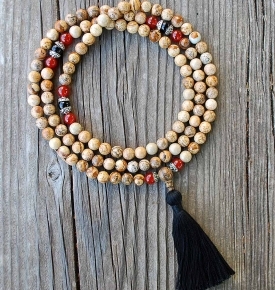 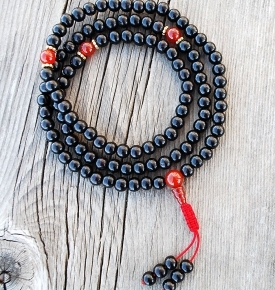 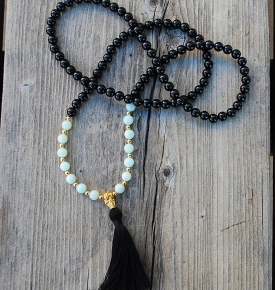 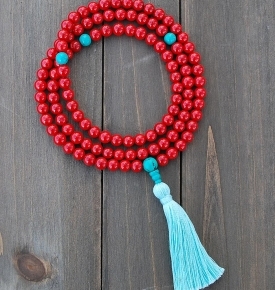 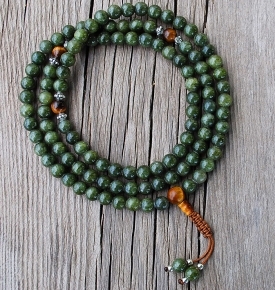 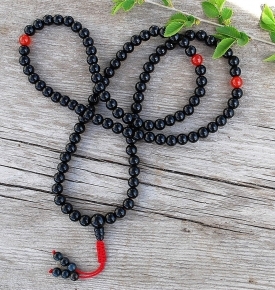 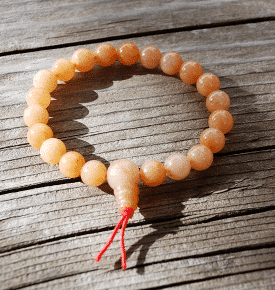 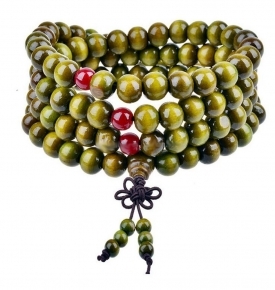 We have a special selection of Buddhist Malas on sale right now. 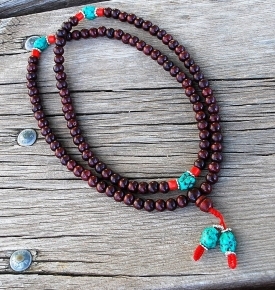 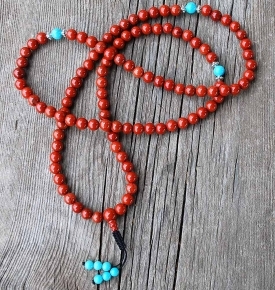 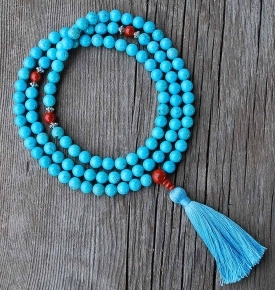 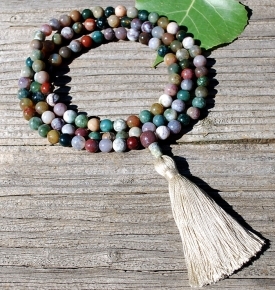 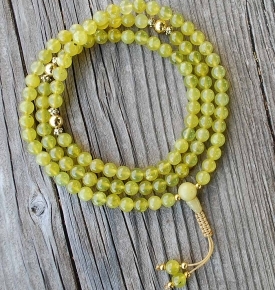 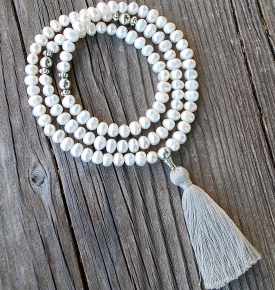 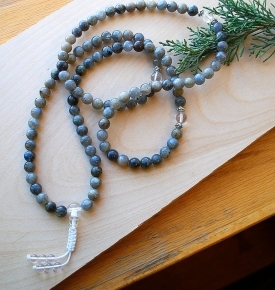 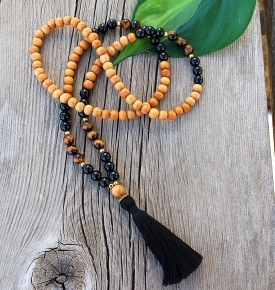 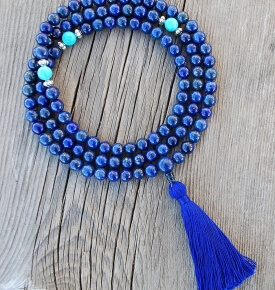 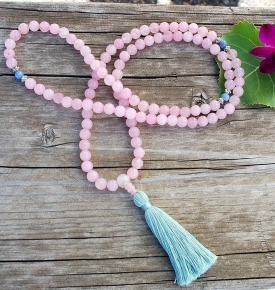 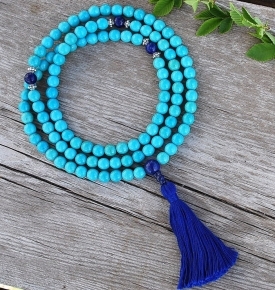 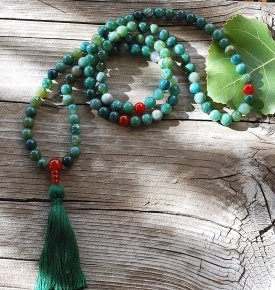 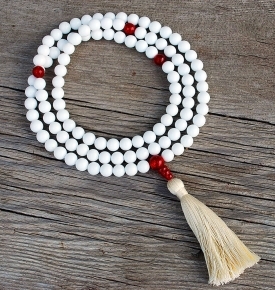 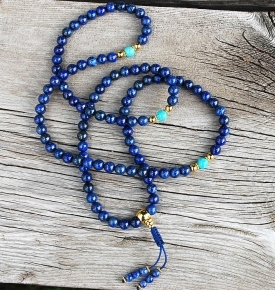 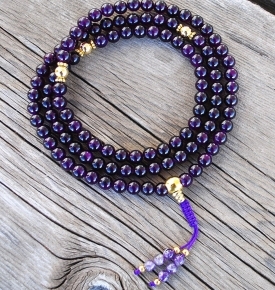 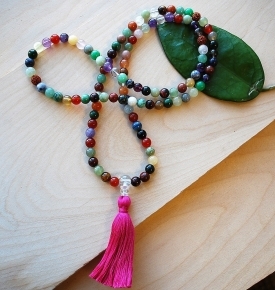 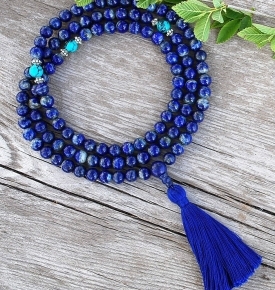 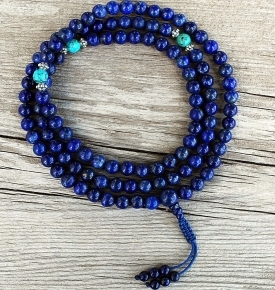 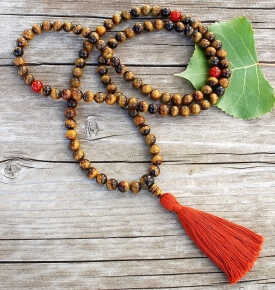 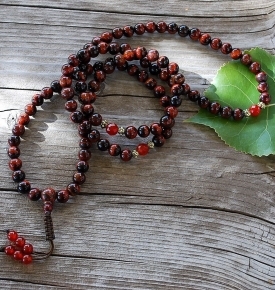 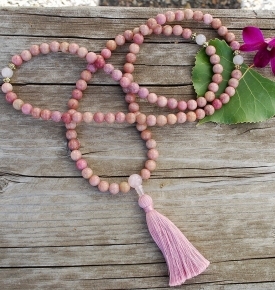 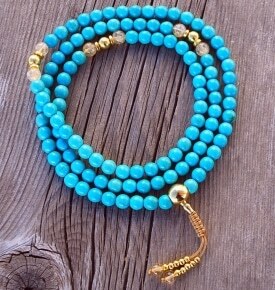 Creating a mala is similar to composing a poem or a piece of inspired art. 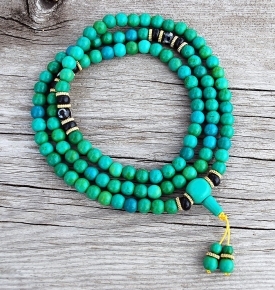 We have a quantity of 108 beads, in some instances patterns of additional beads (where markers go), always a guru bead that ties the entire into one and often a tassel or knot, although the last is personal preference. 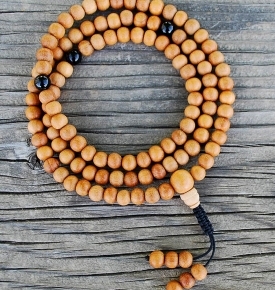 The guru bead has three holes. 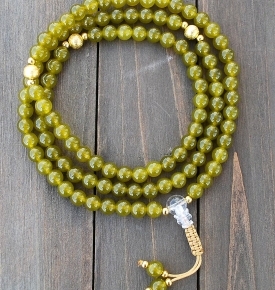 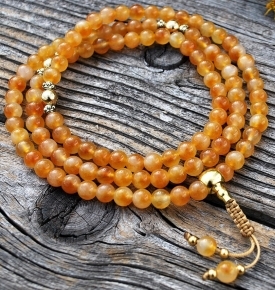 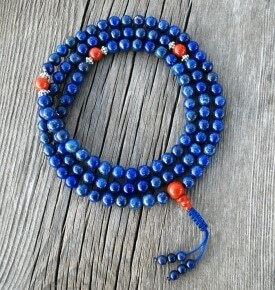 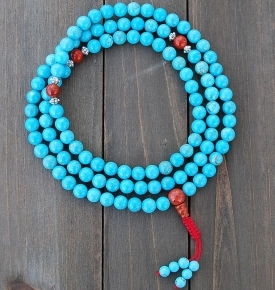 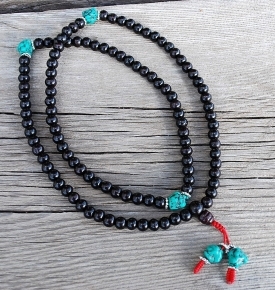 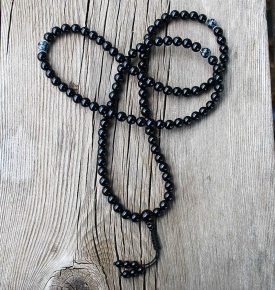 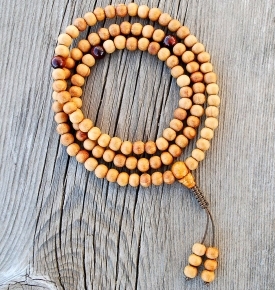 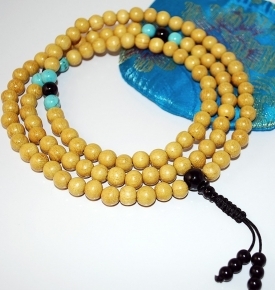 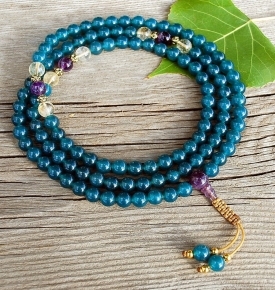 The guru bead represents the guru or spiritual teacher and is not counted.